IN ORDER TO BID ON THIS PROPERTY YOU MUST FILL OUT THE NECESSARY FORMS ATTACHED IN THE PROPERTY BROCHURE. IT IS UNDERSTOOD THAT NO ONE WILL BE PERMITTED TO BID ON THIS PROPERTY UNLESS THEY HAVE FILLED OUT THE NECESSARY FORMS AND SUBMIT IT TO THE BROKER PRIOR TO FINAL DUE DATE OF AUGUST 8TH 2013 BY 5:00PM EST. 3. SUBMIT FORMS ON OR BEFORE AUGUST 8TH 2013 BY 5:00PM EST. DIRECT INTRACOASTAL ESTATE LOCATED IN EAST DELRAY BEACH FLORIDA. HOME TO BE SOLD FURNISHED WITH EXCLUSIONS. THIS WATERFRONT PARADISE IS BUILT ON A LARGE LOT WITH OVER 190 FEET OF INTRACOASTAL FRONTAGE AND A 60FT DOCK ON THE SIDE OF THE HOME. ENJOY BREATHTAKING VIEWS FROM THE LARGE OPEN LIVING AREA. TWO MASTER SUITES, ONE DOWNSTAIRS AND ONE UPSTAIRS. ENJOY THE PRIVACY OF A GATED DRIVEWAY ENTRANCE. Conveniently located to the World Famous Atlantic Avenue and Mizner Park where you can enjoy high-end boutiques, fine dining, fitness studios, and world-class salons. Location provides easy access to both the Turnpike and I-95, both Palm Beach International airport and Fort Lauderdale airport are only minutes away. 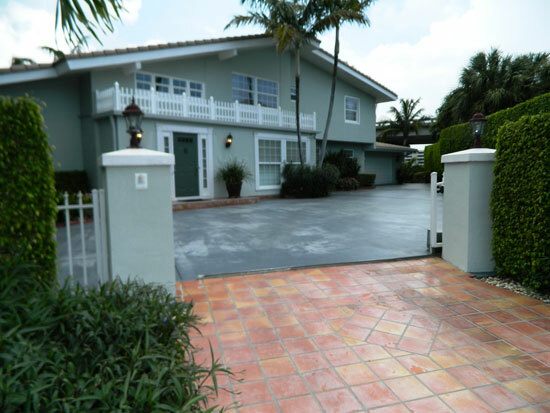 Enjoy waterfront living in Delray Beach! -I-95 to E. Linton Blvd. -Head East on E. Linton Blvd. and over the bridge. -Turn Right Del Harbour Drive, property at end of cul de sac.